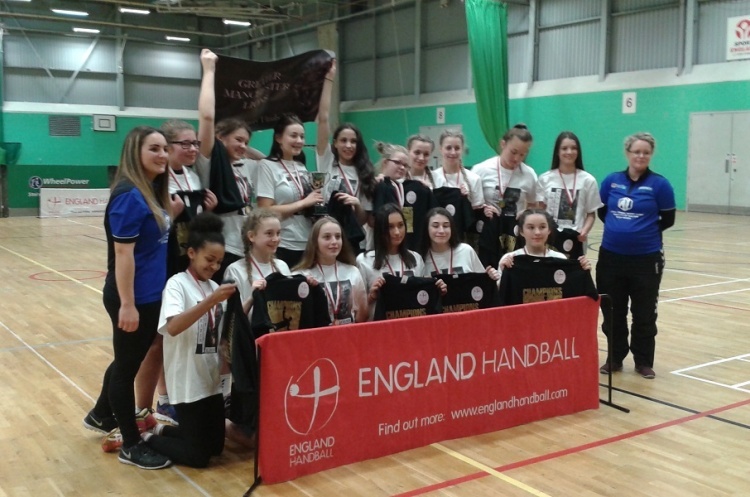 Greater Manchester were crowned girl’s under-16 County Champions after beating Devon 9-5 in the final. Greater Manchester finished second in the group stages, losing just one of their three matches, to Devon, who topped the table. That saw them pitched against third-place Essex in the semi-finals, a match they won 9-4. And the North-west side lifted the title at Stoke Mandeville, England Handball’s National Training Centre, with victory over Devon.